Coded UI Tests : the recorder encountered a wrong control while recording the last action. One more quick post on Coded UI tests recording issue. 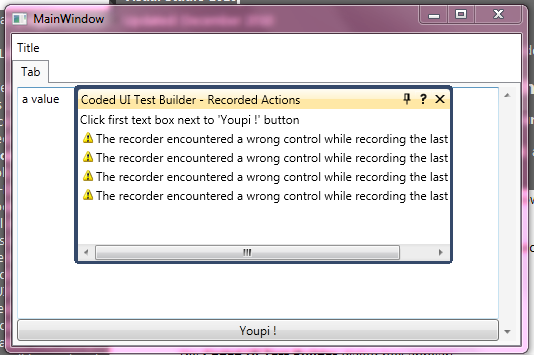 Today, the coded UI test builder tool said to me “The recorder encountered a wrong control while recording the last action.” ! 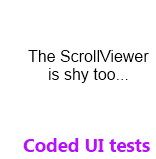 After some search in my app, I found out that it’is related to a ScrollViewer in a TabControl. The problem is easy to reproduce: inside a tabcontrol, add a TabItem and set its ContentTemplate with a DataTemplate containing a ScrollViewer. Then try to record any action inside the TabItem using the Coded UI Test Builder. You won’t be able to do it. You can even set the ContentTemplate of the TabControl as pointed out on the Connect web site. The solution is the same than for the TextBox issue : you have to create a fixed version of the ScrollViewer and use it instead of the standard one. 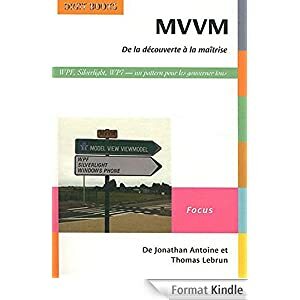 This bug is on connect and Mathew Aniyan, the Visual Studio ALM program manager, noticed us that it will be fixed in the next version (VS2011 and Framework 4.5). « Coded UI tests : my TextBlock is not found, how to find it ?